If you said “in two,” you’re incorrect. It would be in four. I invited them to ask why during the Q&A, and no one brought it up, much to my surprise. Long story short: without a metronome, composers before Beethoven were forced to rely on conventions, Italian terminology, carefully signposted tempo relationships, or all of the above in order to communicate to a performer what pulse to take. If you look at the first movement of the symphony, (or the overture to Magic Flute, or Don Giovanni, or many other examples) Mozart used the symbol for Cut Time for slow introductions, but then didn’t change the time signature when the faster sections start. In other words, the intention communicated is that the pulse shouldn’t change, and that there should be a straightforward tempo relationship between the two sections. In all cases cited above, the use of Cut Time for slow sections tells the interpreter that the pulse should lie with the larger note value that might be considered, rather than the smaller. For all three examples, the starting pulse should be the quarter, rather than the eighth, later transferring to the half note for the allegro for the overtures, or the dotted half in Symphony No. 39. 3/4 Time signature and Alla Breve - what was Bach thinking? At some point, some well-intentioned editor decided that Mozart MUST have made a mistake and then “corrected” these slow intros to Common Time in the old editions, with the result that numerous interpreters consider the Adagios to mean “in EIGHT,” the relationship to the Allegros is erased, and painfully slow tempos abound. 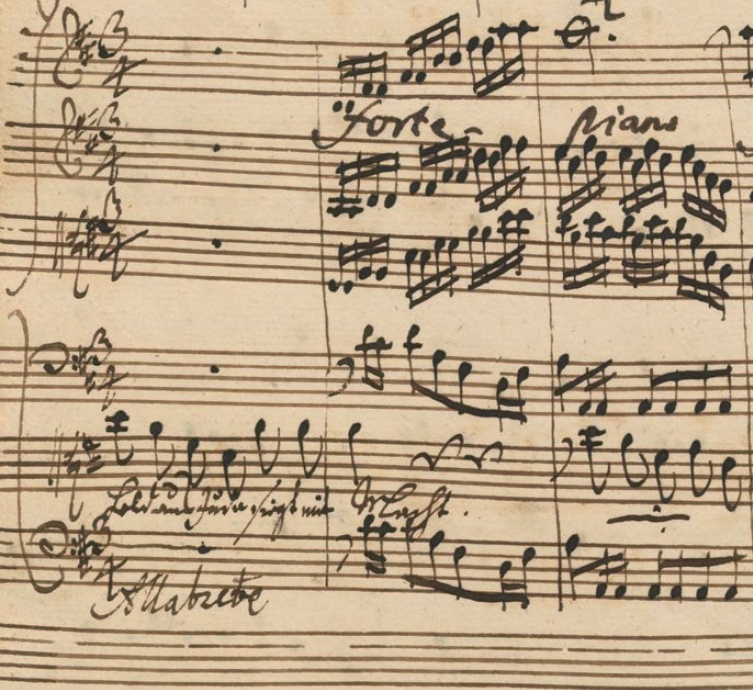 If you’d like further evidence, take a look at the score for the Alto aria “Es ist vollbracht” in Bach’s St. John Passion. After a molto adagio introduction in Common Time, the following section in 3/ 4 is marked “Alla Breve” (Caution, large file. Check out pages 73-74.) Don’t look in the new Bärenreiter, because another well-intentioned editor decided that it must have been a mistake as well – clearly a 3/4 can’t be “in two.” This is Bach using the same technique to indicate a tempo relationship, in which the pulse lies first with the eighth, then the quarter in the 3/4. As a conductor I care a great deal about things like this, because composers cared a great deal about things like this. Brahms in particular was more interested in the tempos of performances executed under the direction of others than audience reactions, and notated his scores with extreme care in an attempt to clarify the problem – and the solutions – for others. The article I wrote for the current edition of Early Music runs along the same, but slightly more complex lines. Is it possible that there’s a unifying theory of tempo for a ten movement work? I say there is, and I dedicated the article to Maestro José Antonio Abreu – not because the article has a shred of a connection to el Sistema, but because the solution I propose would make an economist smile. ← Drink up! Reflections and video from Ottawa. Hi i´m studying Mozart´s Ave Verum, and the indication of tempo is adagio in 2/2, do you think that the work is incomplete or just an indication of “not so slow” Thanks, the article was very helpful. I don’t think it’s incomplete. 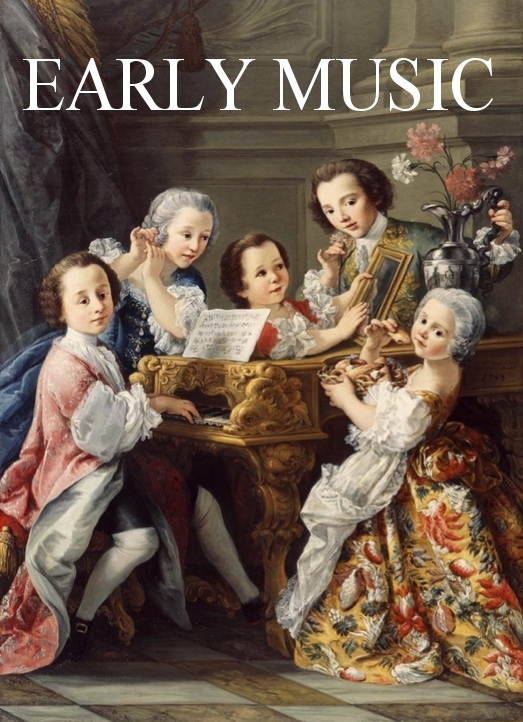 The question you should ask is: what precisely was Mozart referring to when he wrote “Adagio”? Every written tempo indication has to be correlated to an actual unit of time at some point. Does Adagio refer to the pulse of the eighth note, the quarter or something else? I’m not sure what edition you’re using, but consult the NMA online or the autograph on IMSLP and you’ll see he writes Cut Time, not 2/2. They mean different things. Still having trouble? What is the smallest note duration Mozart uses in the work? That should tell you something as well.